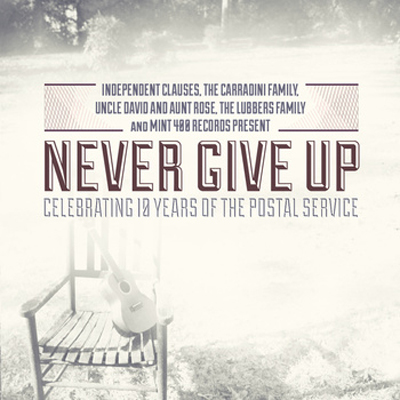 FYM asked Seattle's Kris Orlowski to share his thoughts on contributing to this exciting new comp: Stephen from Independent Clauses told me about an opportunity to be a part of a tribute compilation disc for the Postal Service and I couldn’t say no. As a Washington native and a fan of the band growing up, it seemed like the perfect way to pay homage to the band and Seattle music while doing something fun with my friend and producer Jonathan Warman. FYM remembers discovering the Postal Service via a mixtape swap night in Illinois during the fall of 2003. Our friend put Nothing Better on a tape for us, and we instantly fell in love with the delicate landscapes of digital heartbreak. We send our congratulations to Independent Clauses for 10 years blogging, visit their website HERE. 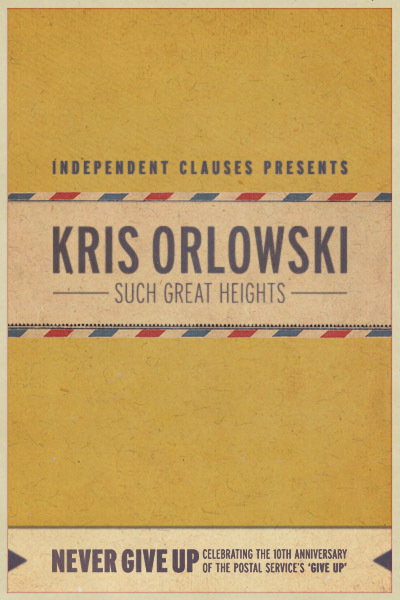 Find Kris Orlowski in a town near you, currently on tour with Sara Watkins! Click HERE for dates. THEY LIVE! Cheers, FYM.